Over the last little while we have been working a new layout for ArtSites websites. We have called it "Filmstrip" because one of the it's primary characteristics is the use of horizontal navigation of images as if they were all being viewed on a 35mm filmstrip. This layout tries to maximize image sizes on the screen, regardless of the device being viewed on. We have tried to reduce the non-image elements of the website as much as possible, mainly by the use of a "hamburger" icon to provide access to a menu and keeping the header elements as compact as we could. Please let us know if you see any issues with the website or have any suggestions. We are particularly interested in what people think of alignment, spacing and colour of elements on the website. Last month we released a new feature that changed the way that an ArtSites Artist's website handles contact request and artwork inquiries. We have had a number of questions about this feature, most notably, "Why did we have to change the way that these notifications were handled at all?" First of all, I wish that we didn't have to make the change that we did but we were forced into this change. The old system had problems that were making it harder for us to reach artists with contact requests or other updates. Let me describe what was happening. In the old system, when some filled in the contact form, we would send a notification to the artist that included the message provided by the visitor. If that visitor provided an email address, we used an email trick that allowed our artist to "just reply" to the message for that reply to get to the visitor. Unfortunately, this trick did not work with some email programs, Outlook the most common, and the email would come to us instead. We would then have to tell the artist about the problem with their email program. All in all, this process worked quite well for most artists. Unfortunately, there were increasing problems for us. The email that we sent to the artist was officially from ArtSites. When a visitor left a "spammy" message, we would catch it most of the time but occasionally they got through. Often the artist would mark these email messages as spam as they would any other email message that contains spam. There is a subtle but important problem with this. When they mark the message as spam, what they really wanted to indicate was that the visitor providing information on their website was a spammer but email systems identified ArtSites as a spammer. This would cause several problems. 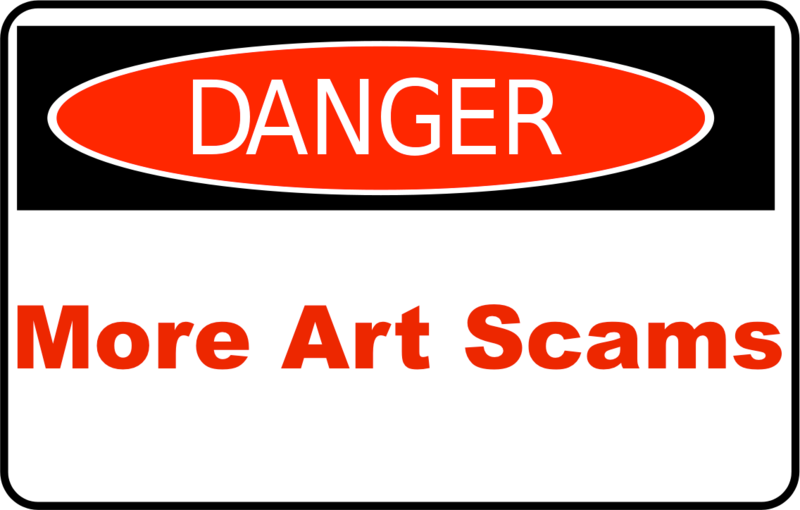 For the artist, it would prevent new contact messages that came from ArtSites from getting through to them. Their email programs would automatically put our messages in their spam folders. Having our email marked as spam also made it harder for us to get email messages to others as well because marking an email message as spam reports the sender (ArtSites) as a spammer to many different email systems. This is a great way to deal with real spam but in our case, it was working against our legitimate email. with the artist, we decided to store the messages on our system and only send out notices that a message existed. That way the artist could go to their website and see the message before deciding if it involved spam. If they wanted to mark it as spam, they could do so there. It also gave us more opportunities to identify spammers and automatically mark them as spam. This process helps us fight spam and avoid being identified as a spammer. Unfortunately, this is more of an effort to the artist which is unfortunate. Also, our "Reply" mechanism is not ideal and doesn't work for all artist. But at least the message does get to the artist and they can find a way to respond accordingly. If you look carefully at our Contact Request notification message that we send you, there are instructions on how to find these messages. Unfortunately, there is not a "Messages" tab in the administration but you can find this under your "Contact" tab. Messaging is definitely a work-in-process. We are going to be reorganizing the administration system soon and as a part of that Messages will be much easier to find and work with. So if you have any feedback on the way that the new messaging system works, please let us know so we can incorporate that feedback into future updates. We have created a new area in the ArtSites Administration system for managing incoming messages from the Contact and Inquiry pages of your website. Instead of emailing the messages directly to you, these messages will be put into a new Messages section of your website where you can view the messages in your Admin Panel. Over time, we will migrate other messaging into this system, as well. We have made this change for a number of reasons. It has become increasingly hard to reach some of the artists due to spam filtering and changes of email. Now, you will always be able to see your incoming messages from your Admin Panel on your website. That said, please note we will still send you a notification of new messages via email. You can find your Messages page by going to the Contact page in your Admin Panel and clicking on the Inquiries and Contact Requests link just below the Manage Contact Information Page title. This will show messages that haven't been marked as Archived, Spam or Deleted. This is where you can look for messages associated with notices you've received via email. You can review the messages and when you are done with them, mark them as Archived. That way, the New Messages section will only show you messages you haven't dealt with yet. Each message displays the Name and email address (if provided) of the sender as well as the text of the message. If the message is more than a single line long, only the first line is displayed but if you click on that line, the whole message will be displayed. Clicking on reply or the commenter's email address will attempt to open your email program so that you can reply to the message. If this feature hasn't been set up in your web browser you will likely just get an error message. If you click on the Archive icon , your message will be put on this list. It is just a way to keep your messages out of the New Messages list. But, you can still access them at a later time if you want to look at or review them. You can always click on the Unarchive icon if you would like to move the message back into the New Messages list. If you click on the Spam icon on a message in the New Messages list, it will be put into the Spam Messages list. Not only will it be removed from your New Messages list but will notify us of the spam message so we can take action to suppress the spammer across our network of artists. At times, we will identify a message as spam before you get a chance to see it in your New Messages list. So, some messages may automatically end up in your Spam Messages list. Not all potential spam will end up in the Spam Messages list. For years, we have been blocking spammers so that most spammers either cannot get access to your website at all or are not allowed to send to your website. In the process of sending a message, the behavior of the sender provides us foolproof evidence that the message is spam is and we will put it in the Spam Messages list. In the past, those messages were just discarded. When we mark a message as spam, we are pretty sure that it's spam so you can safely ignore this section but if you are curious about what spammers might be attempting to send you, have a look. We are not sure that this list of messages is even needed but we know that some people really like to delete messages at some point. We may at some point turn deleting messages into an irreversible deletion from our database. Currently, all messages will stay in our database indefinitely. At some point we make start purging Spam and Delete messages after some period of time, e.g., maybe after they are more than a month old. This is a new system and it represents a significant change in how we handle communications between an artist and their visitors. It is possible that you do not have any messages to view yet so to test this new feature, go to your public Contact page and send yourself a message, then go back into the Messages view and see what it looks like. As always, we'd love to hear your feedback on how the system works for you! And, if you have any follow-up questions, please feel free to let us know! We're delighted to announce that there is now a new Colour Scheme entry called “Custom”. When you go to the Layout tab in your Admin Panel and "Custom" is chosen under "Colour Scheme", a button appears to the right (where the preview normally appears). When you click on that button, you will go to a new page where you can edit the colour scheme colours directly! And, as always, if you have any issues or problems, simply let us know! Over the past few weeks, several of our artists have received "purchase inquiries" to buy a few pieces of artwork. So, how do we know these are scams? In our previous article, Red Flags When Doing Business Online, we discuss many of the above points in more detail. The Latest "Order Inquiry" by "Rebecca Shawn"
As you will see, while sender's name(s) and email addresses often change, the general format seems to remain the same. If you use Statcounter, you can compare the time of the email with the time of a view/hit on your contact page. Often, you'll see what actual country the scammers are from (usually, not the one mentioned in the email ;-). As always, we simply want to make sure you don't get scammed! And, we'll do our best to keep you informed! Available domain name extensions (like .com, .net, .info, .ca, .uk, etc -- known in the industry as top level domains or TLDs) have grown considerably over the last few years. In the early years of the Internet, we had .com, .net, .org, .edu, .gov, .mil and the various two letter extensions like .ca, .us, .uk, .fr, etc. Then in 2001, .info and .biz, .museum were launched followed by a few others like .coop, .name and .pro in 2002. Every few years after that, a few more extensions became available. In 2012, the domain name system was opened up for anyone with the technical competency and money ($185,000 to apply) to create just about any extension (TLD) that they wanted. As of February 2017, there were over 1,500 domain name extensions and more are coming online every month. We haven't really encouraged artists to adopt many of these new domain name extensions because most "average" people are only familiar with a handful of them. What's the Best Domain Name to Have? In the past, our recommendation has been to try to get your brand, generally your name, as a .com, e.g. YourName.com. When YourName.com is not available, we'll usually suggest using your country extension (.ca for Canada, .us for USA, etc) and if that's not available, you may consider YourName.info. If your name is not available with any of the above domain name extensions, we'll recommend creating variations by adding words to your domain name, e.g. YourNameArt.com or YourNameStudio.com, etc. Just this week, a new domain name extension has become available: .ART! Obviously, this is a great new option for our artists. So, if YourName.com or your preferred domain name has been taken, YourName.Art might be a good alternative! You might ask, "I already have a domain name for my website, should and how might I make use of a .art domain name?" If you already have YourNameArt.com, you may want to shorten it to just YourName.Art. We can register YourName.Art and make it the primary domain for your website. 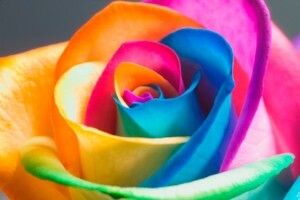 This means YourNameArt.com now becomes the secondary domain for your website. To transition from your existing domain name to another is similar to the process above. Any links on the Internet to your existing website will still work but we will setup an "automatic redirection" to your new domain name, e.g. YourName.Art. Because this happens automatically, you don't have to tell everyone that you're changing your domain name, they will simply find out over time when they land on your website with your new domain name. In general, when switching to a new domain name, we suggest keeping your old domain name active as a secondary domain name for at least a year. That will give most of your visitors time to get used to the new domain name. And, if you don't mind the extra cost of keeping a secondary domain name, we suggest keeping the old domain name for much longer. New .ART domain name extensions are slightly more expensive than the basic domain name extensions. So, we will be charging $20/year for these as secondary domains for our artists. If you have had a hard time getting your preferred domain name for your website, you may want to consider adding or transitioning to a .ART domain name. As always, we simply want to keep you updated on the latest web developments! We love hearing about all your successes! 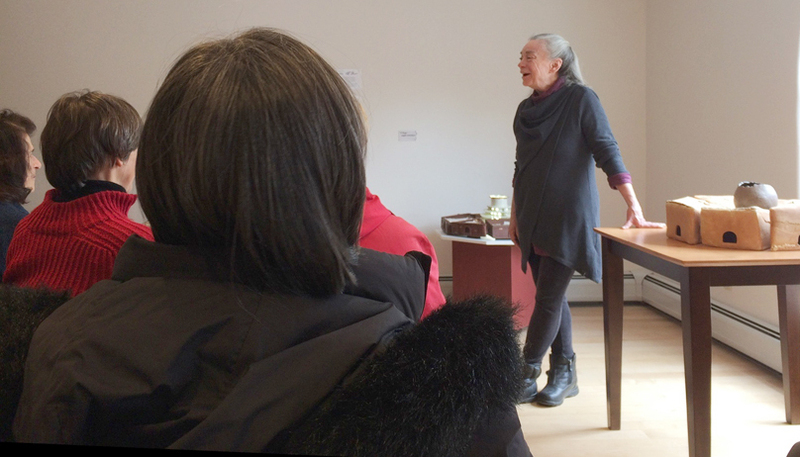 For instance, we were so pleased when Kat O'Brien decided to share with us her experience at this year's Slow Art Day in Champlain, NY. On April 8 - International Slow Art Day was hosted in about 200 venues worldwide. 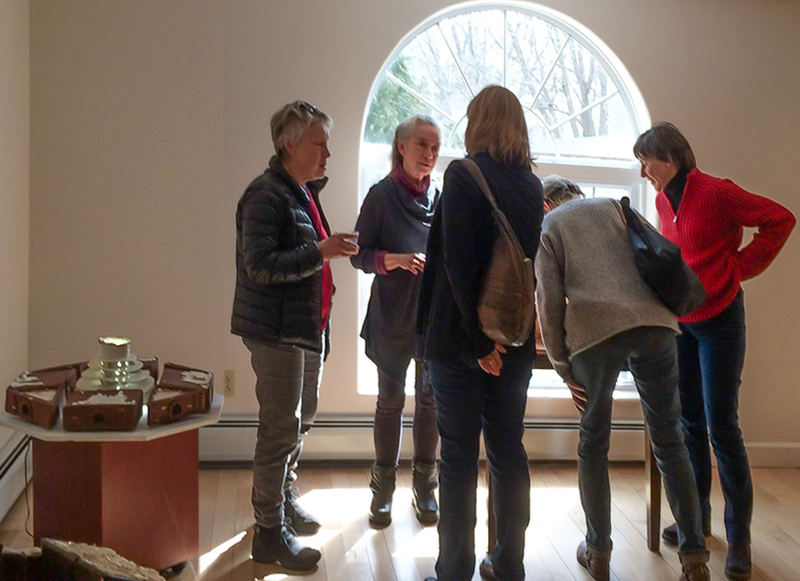 This first art event ever hosted by the Village of Champlain met with lively and focused discussions of the artworks and this surprising experience, shared by 35 people in attendance (with many active participants from Montreal and northeastern NY. It is a very interesting time for this cross-border area!). Eager anticipation of the next art events that are taking priority in the next phase of the Village Waterfront Revitalization Project. Congratulations later followed for host Janet McFetridge's award in New York State's "Women of Distinction" program for her work in community enhancement. My host, Village Trustee Janet McFetridge, started the Champlain Meeting House 2 years ago as a venue for such community events. She just received a New York State Distinguished Women's Award for her excellent work in community enhancement, which includes a commitment to art support as a basic element in the local Village Revitalization Project she directs. Therefore, most of my work in the Champlain Meeting House exhibition is from my ongoing series, Village. The ceramic octagons are an extension of my long-standing art and meditation practice that explores interdependence: illusions of solidity and emptiness, luminosity and darkness, permanence and impermanence. Thank you to Kat for sharing this wonderful account with us! Have you ever participated in Slow Art Day? Welcome to this week's Tuesday Tip! This week, we focus on How to Change the Font of Your Entire Website! We want to hear your questions as well so be sure to let us know! Be sure to hit "Subscribe" and give the video a big thumbs up! Welcome to this week's edition of This Week In ArtSites! Join us as we talk about all the exciting events and exhibition openings happening this week!